We have recently expanded our team of genealogical researchers and have also invested in new computer software, enabling us to produce easy-to-follow family trees. 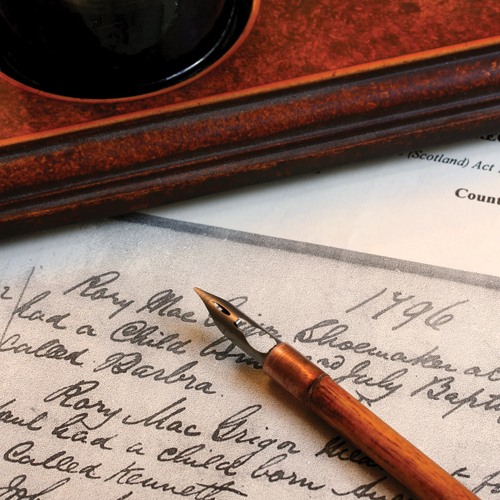 We regularly carry out research at the Register of Births, Deaths and Marriages in respect of genealogical investigations and the tracing of beneficiaries. We also have a great deal of experience in researching similar registers in England and Wales, enabling us to provide a full UK service in this respect. As far as tracing beneficiaries is concerned, we are also able to draw on our team of experienced in-house investigators. We can carry out enquiries using our various desktop databases as well as undertaking enquiries by telephone and in the field.